A string of storage unit thefts that included the 1969 Preakness Cup ended in a photo finish for one Boca Raton woman. 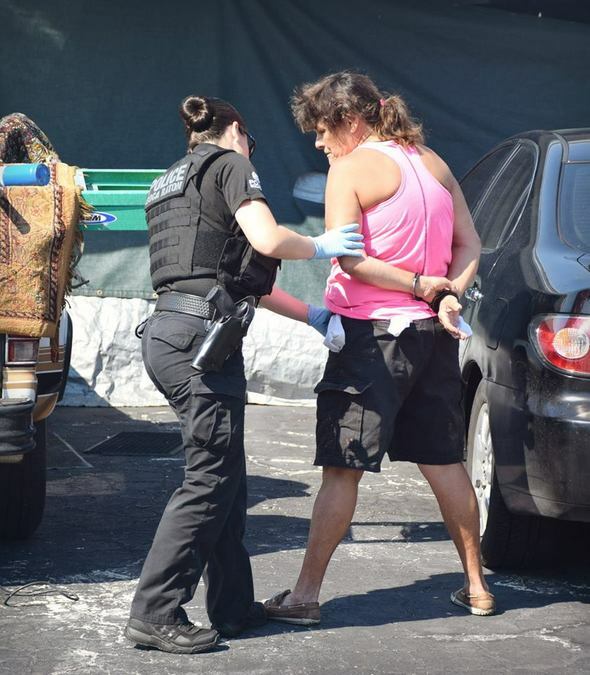 That photo was of Alicia Elaine Murphy being handcuffed by Delray Beach Police after they served a search warrant on her home Wednesday. Alicia Murphy is handcuffed in Delray Beach on Wednesday after police served a search warrant on her home. Police say Murphy rented a storage unit at Cubesmart on Military Trail in Delray Beach and then routinely stole property and pawned it, dating back to July. The thefts hit about a dozen storage units. Police reports show Murphy admitted to the crimes. Police say Murphy told them she would go to the facility at night when the workers weren't around and used bolt cutters to get into the storage units. Murphy also told them she would hire day laborers from a local Home Depot for $10 an hour to help her move all the merchandise. The hundreds of items, valued between $350,000 and $400,000, included electronics, household items, instruments, taxidermy and memorabilia that includes the Preakness Cup trophy, gilded horseshoes and other items from the 1969 Preakness Stakes. The owner of the trophy and memorabilia said she has been waiting since November to find her stolen items. Francine McMahon said her father was the owner of the horse that won the Preakness cup in 1969 and the trophy was passed down to her. “Of all the things that would turn up, it is my father’s crowning achievement,” she said. 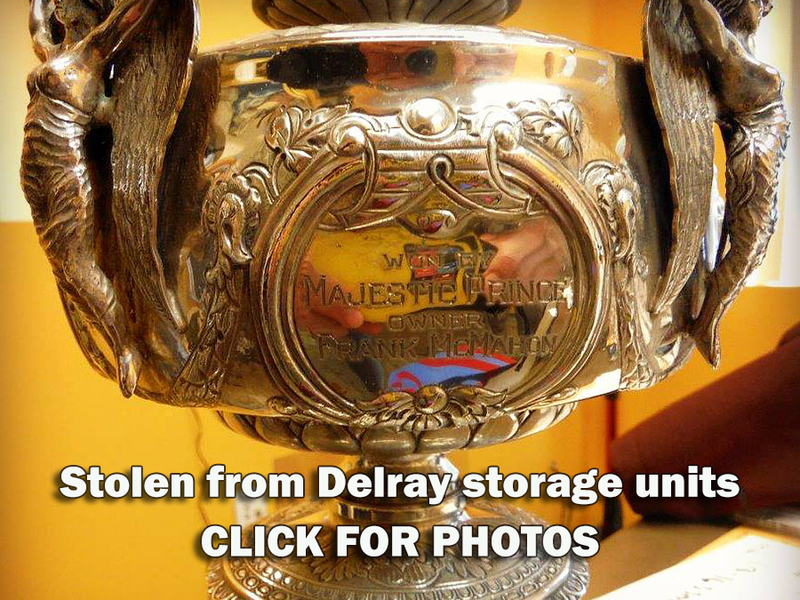 Murphy sent the Preakness Cup and other mementos to Leland Auction House in Suffolk County, New York which had already given her a $15,000 advance on the cup. Delray Police are working with authorities in Suffolk County. The investigation into the extent of Murphy's thefts is ongoing and Delray Beach Police ask that anyone with information call Detective Christopher Trapasso at (561) 243-7868. Click the image below to see a gallery of items that were recovered on Wednesday.